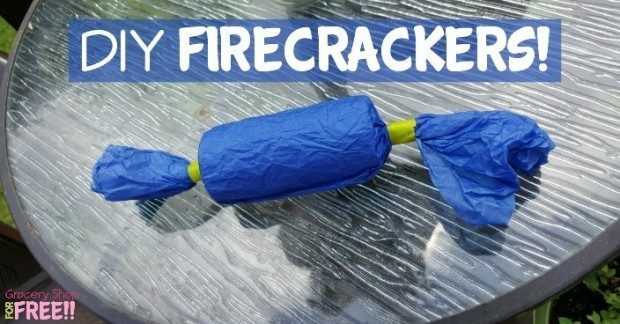 You are here: Home / DIY / DIY Firecrackers! Time for some firecrackers! Notice I did not say fireworks. Firecrackers are the little tootsie roll looking things you see at homecoming games. I make them for every single sport my children play. You can load them with miniature toys, candy, messages, or even small school supplies. You can use them for any fun occasion, like the 4th of July, birthdays, sporting events, etc. My daughter is feeling pretty good about her firecracker making skills so I am letting her show you how to make your own. The video cut off early but here is a picture of the Firecrackers we will be throwing at the volleyball parents.